The DeVilbiss Vacuaide 1200ml Re-Usable Collection Bottles are autoclavable reusable collection bottles for the DeVilbiss Vacuaide 7305 P-U Portable Suction Machine. 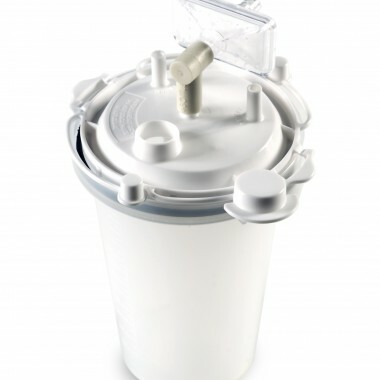 Designed for multi-patient use, it includes the canister and lid. Discounts are available for purchases of over 4 or 16 bottles (see the table above for details). Even more discounts are available for larger bulk orders (i.e. monthly contracts or orders of 160+); please phone the Medical Supplies Customer Care Team on 020 7720 2266 for more information.